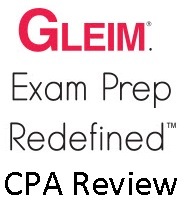 CPA Accounting Test Prep help and Private Lessons directly at your home! Prepare for your CPA exam at your own pace, with the help of a local tutor in Stamford, Greenwich, Darien, Westport, Wilton, Milford, Trumbull or any study guide resources and test preparation help that you see below. Or call us to help you get matched with one of the CPA tutors specializing in Accounting to see if we can help you find the right tutor at the right price, if you don't see one below.We also service Westchester County area and New Haven CT neighboring counties. Do you qualify to take CPA? Did you look at Connecticut CPA license requirements yet? Find out Connecticut CPA license certification requirements, on our sister test preparations blog site for your Accounting exam. Discover exam fees, application proces and more. It's not secret if you are preparing for this exam the chances are that you already have researched it's value and probably trying to pass it to break into accounting field. Whatever the reason is consider reviewing variety of practice questions, study guides, and test preparation resources that we specifically listed for CT accounting students at our sister site StudyGuide.net/CPA or browse for your study resources below. Take your Accounting CPA test? Discover requirements for your particular state, see how much education, experience you need, exam fees and more. Main idea behind this page, is to help, future CPA test prep takers, and students who are preparing for this exam, solidify their understanding about specific state requirements, before applying for their test, and also be prepared. Tutoring Services, LLC also provides methods and motivational reasons for you to study and even save money when preparing for your test, and even making money on part time basis. Check out money saving and making opportunities for CPA exam test takers and future tutors. 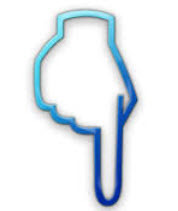 For the state of CT License Requirement click below, link. Don't see your State? Navigate here to view about state requirement, application info and more. Note if you are trying to get better understanding about Application Process, and skip lots of headaches when peparing for your exam, and see complete details about application process, and how to pass your exam from first try then don't hesitate to check this kewl CPA study guide. Use this study guide as one of your initial steps when peparing for your exam, then be sure to come back here to take a look at other test preparation materials for your CPA test and take advantage of discount  coupons that we offer, and verified CPA tutor icon in your future tutoring profile, helping you make money helping other students prepare for CPA exam in your local area or online, be sure to check out CPA opportunities for students and tutors link before you begin studying for more, especially if you passed your exam and did well on it. Tutoring Services, LLC is all about helping students make money. So you are trying to become CPA? Great why not study with Surgent? The first thing that comes to my mind is the word surgeon, it automatically translates in my mind as synonyms to the words such as precision, accuracy, success, ability to help people, and that is exactly what Surgent CPA does for accounting students! Although that is the first thing that comes to my mind this is not the actual reason why this test prep vendor is called Surgent, but rather because the founder of this CPA test prep program's name is named. Jack Surgent, CPA, is CEO of Surgent McCoy CPE, LLC. His company is the largest provider of tax and financial-planning seminars to CPAs in the United States. Mr. Surgent has personally presented over 1,800 live seminars in the past 25 years and has been named Outstanding Discussion Leader by various professional organizations. Jack has transformed his passion into helping accounting students prepare for CPA test, and infused 25 years of his leadership in the mix of this test preparation course. Don't be fooled by the flash courses that you see on the internet, some courses that you find on the internet are all smoke and mirrors, and only rarely do you find a course that transfers passion of the founder in the brains of the students. That is exactly what I see in this course. I see passion delivered from the founder and transferre into this course to help you CPA test prep takers prepare for their exam. Passion is just like yawning... contagious. Therefore if you study with this course, you can transfer that passion from the test prep company into your overall daily study habbit when preparing for your CPA exam. As the fonder of Tutoring Services, LLC, I Rome Wells, will relay what is present on CPA Surgent course on this page, be sure to check out video above, that I have included on top to get you to realize what Surgent Test Prep is all about. Note don't get side tracked when it comes to your studying with flash course materials that exist on the market. Some are just not the right type for you, it all depends on what type of learning style you are acustomed to, carefully look through not just Surgent info that is present here, but also other study guides, do not just take my word for it when analyzing each vendor. Try some of them out for FREE including Surgent that allows you to try this course for 3 days. Don't rush into simply purchasing course, read money saving tips page on this site, read about study partners, and other methods, before making  your decision. Adaptive learning approach that can save you as much as 100 hours of study time per part (Note it's true adaptive learning approach is a bit different, compared to some vendors, note vendors have their own adaptive techinques for example Yaeger has AdaptaPASS and Surgent has the other type of adaptive learning approach which is also good, all having their own bells and whistles)  If I was a student i would try both and see which one you like the most. One kewl thing about Surgent is that they provide CPA pass gurantee! For each section, for complete comparison of features feel free to scroll down further in this page, but the fact that avg study time is much smaller in comparision to other courses, that tells you something about overall adaptive learning technology. It tells you that it shows you materials that you need to study, as oppose to spend time searching through the book for the right section and trying to find relevant videos. I am sure if you are going through your CPA test prep, last thing you want to do is  watch videos where other students are interrupting the class and waisting your self study time. Note not every course is like that, other courses who also offer addaptive learning approach such as Yaeger, do also help students save time as well, hence be sure to try both first before signing up. Plus you actually get dedicated instructor support with Surgent wow! Hmm that is indeed useful, to have, some test prep companies either ask you to refer to forums or provide limited group based support, but at the end of the day individualized attention is what student is after! This is not different from actual tutoring, except with tutoring you get an expert who trains you and walks you through variety of CPA exam sections face to face or online. Don't confused that with this type of dedicated support. Support is mostly for students who, may have ocassional question here and there or found a mistake during the test taking phase, etc. It's not something like you sit down and tutor teaches you in traditional settings face to face and answers your questions and shows you tricks to memorize individual sections, no it's not the same. For highest level of learning effectiviness consider using both Surgent + Local tutor or Online for 2nd highest level of learning effectiviness. Local tutor will always no matter what be able to provide better learning effectiviness then any self guided program, remember that. However the fact that Surgent does provide support for self guided CPA program and it's dedicated, this is heck of a lot better then providing forum based support. For that reason alone, if i was a student i would highly consider Surgent. We cover what you need to know. NEW! Document Review Simulations Now Included! Now unlimited access! 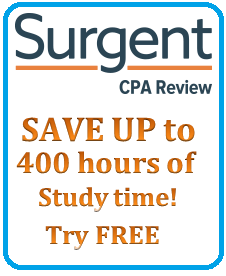 With Surgent CPA Review, you’ll get full course access (including updates) until you pass! Study plans are customized your needs. As a Surgent CPA Review student, you will log in to your own user-friendly dashboard, which will steer you through your customized study guide, designed based on your specific strengths and weaknesses. It will link directly to the specific video lectures pertinent to your current focus area. Our integrated Study Planner helps you determine how many hours you need to devote to your preparation. Simply enter the date of your exam, choose what days of the week you  plan to study, and the software will calculate the recommended time to study per session. Our software will assess your progress as you go, helping you identify exactly when you're ready to sit for the CPA Exam. Do you need flexibility to study on the go? Our lectures and software are mobile friendly—compatible with iPads, tablets, Android devices, and more. One kewl thing Surgent does is, they provide method for you to save money on your test preparation expenses if for example you took CPA course from another provider and failed, and looking for help to revert your mistake and don't get hit so hard financially. These guys at Surgent are so good that they even hook you up with whooping 50% discount of entiere course if that's the case. Very generous of them for sure! (note you must provide proof you took another course for more info click here)  If you only bought from other provider for example only access to specific section of the exam, such as BEC, FAR, ADU, or REG then in that case they will hook you up with 33% discount, wow! Still a sweet deal if you ask me. We all make mistakes, when it comes to studying the wrong thing, don't get sinked into the whole twice, at least save money money on your course if by any  reason you managed to fail your CPA exam by studying with the wrong vendor! Also if you are planning on preparing for your exam with the help of the CPA study partner and thinking of splitting your tutoring expsenses and test prep expenses, be sure to check out this link before making your decision about buying any of the study materials. Be sure to also check out our money saving and making opportunities for students who do end up passing their CPA exam or for Accounting CPA tutors. That you can increase your learning effectiviness by studying using multiple resources? Often it makes sense to study from multiple study guides, especially if you are weak in particular section, and sometimes it even make sense to go beyond typical self study, and get the help of a local and online tutor, for more info about CPA tutors and how getting the help from one in addition to studying with the self guided resources can provide the highest level of learning effectiviness for your CPA test preparation journey, especially if you are the type of learner who likes to have real person solidify topic areas of BEC, REG, AUD, FAR sections of the exam the reinforce your weak link section with the help help of Surgent, Yaeger or any other study guide listed on this site. One of the unique things about Surgent is that they provide you access to course for only $49 for your fist payment, and have good financing option for students on the budget. Be sure to check out testimonials from other students for your self, note, preparing for CPA exam is important it's also important to see what other students mentioned about Surgent Review and see if it makes the most sense to you! Image quality is a bit distroted, please click on eith of the pricing banners to view more info. Studying for your CPA exam doesn't have to be hard check out flash cards below and prepare for your exam today. You can also prepare for your CPA test with flash cards.